Since 1889, Auerbraeu ist one of the traditional breweries in the region around Rosenheim in Bavaria. Having not touched their brand identity including packaging design for many years, it was time for a major change in order to make the brewery fit for the future. MarkenHouse was appointed to strategically reposition the brand and then bring the new positioning to life across all points of touch. 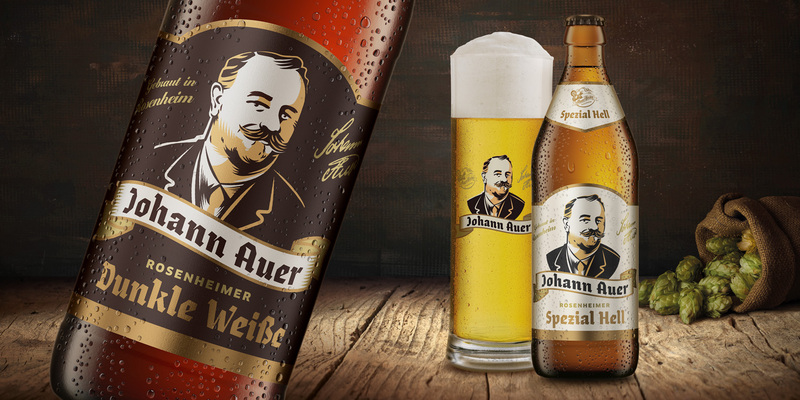 In addition to relaunching the packaging of the standard beer family, MarkenHouse also created a completely new speciality offer under the name of Johann Auer, the brewery's founder. Two of the beer variants in this family will be available throughout the year, while three more are seasonal variants and thus limited to special times of the year to underline the speciality character of this range. 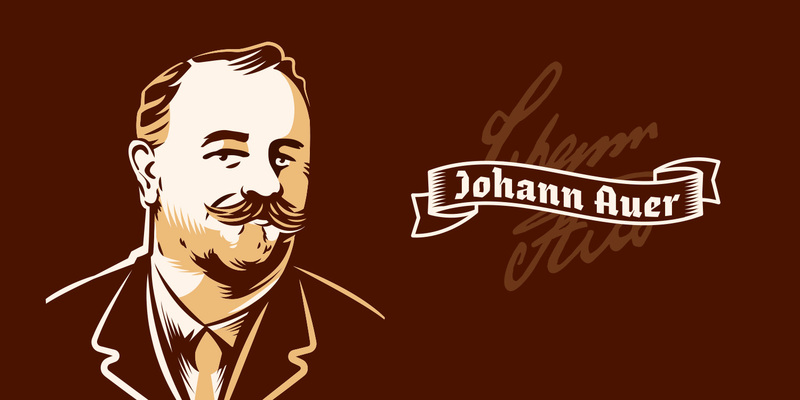 The design of the Johann Auer family clearly celebrates the infamous founder with all of his personality. Tradition is merged with modernity to create a unique look & feel. The contemporary Fraktur typeface chosen perfectly reflects this approach. 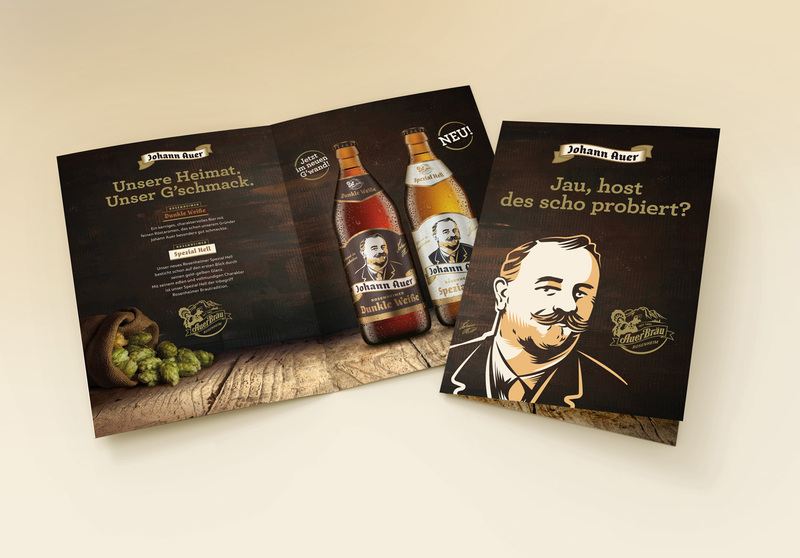 The iconic Johann Auer illustration has been drawn based on an old photograph of the founder MarkenHouse found in the archives of the brewery. 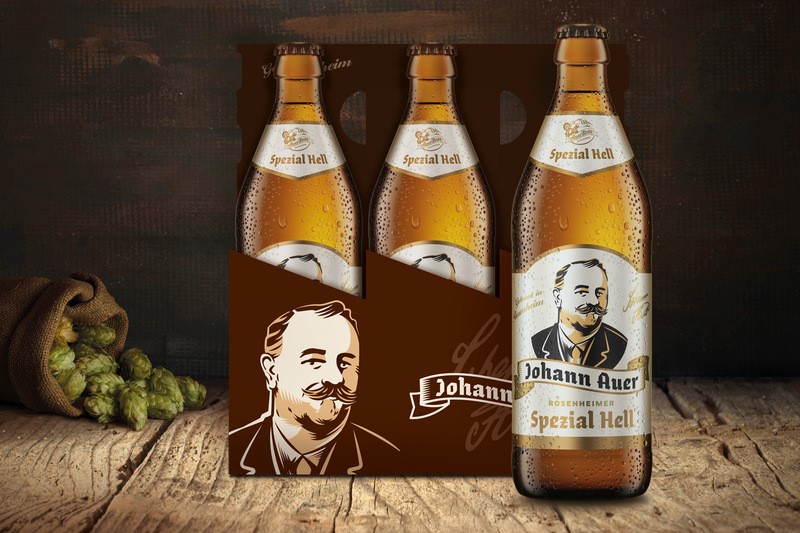 In contrast to the standard range, which was printed on natural paper, the Johann Auer family is printed on metallised paper with a colour spectrum of rich browns and golds to truly convey the high-quality positioning of this particular family of beers. With the launch of the new Johann Auer range, Auerbraeu successfully builds on their rich history in order to further shape the future of the brewery.